Bella Casa is a locally owned and operated business established in 1990 with over 20 years of experience in the industry. 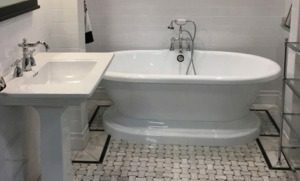 Whether you are building a new home or planning a kitchen remodeling or bathroom remodeling project, Bella Casa Contracting is available to assist you. Our design experts will guide you through the process of planning, selection, and scheduling your new kitchen or bath remodeling project. When you hire our experienced roofing and siding contractors to build your new roof, you can rely on us to utilize only high-quality materials and provide a reliable service that will exceed your expectations. 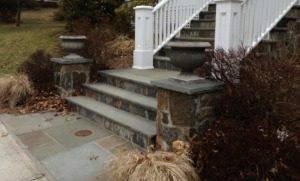 With over 25 years of interior and exterior home remodeling experience, we believe that our superior craftsmanship and design truly set us apart from any other masonry company in the Westchester County area. We perform numerous types of Masonry work, including; Patios, Concrete, Stone, Brick, Stucco, Stairs, Walls, Repair, and more! 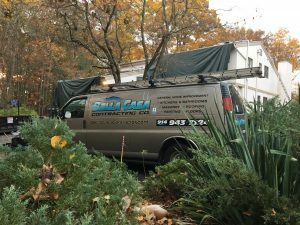 Based in Rye, NY, Bella Casa is a locally owned and operated business that was established in 1990 and has been providing interior and exterior residential remodeling services to property owners throughout the Westchester County areas for almost 30 years. We have built a strong reputation for providing complete customer satisfaction by working with honesty, integrity and diligence. We take pride in providing exceptional work at a competitive price. Please take the time to view testimonials from some of our recently satisfied clients on our Better Business Bureau page. Our entire team pledges to work hard to earn your business and thank you for considering our company for your next project. Bella Casa Contracting is a Westchester County Home Remodeling and Home Improvement Contractor based in Rye, NY specializing in installing Siding, Roofing, Windows, Kitchen Remodeling, Bathroom and Basement Renovations, Interior & Exterior Painting, Floor Installations, Copper Work and more. Our goal is to do the best work we can do and have long lasting relationships with our customers. Allow us to show you how our commitment to personal service and our expertise will help you with your home improvement needs. We provide everything you’ll need to accomplish your home improvement dream. Contact us today to to schedule a no-cost estimate and consultation. Some of the most popular masonry construction services we offer include : Driveways, Walkways, Sidewalks, Retaining Walls, Chimney, Brick & Block Work, Steps, Stone, Stone Veneer Walls, Concrete Work, and more! Our design experts will guide you through the process of planning, selection, and scheduling your new kitchen or bath remodeling project and utilize our expert level of craftsmanship to give you the room you envision. 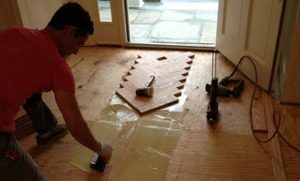 Bella Casa has years of experience installing all types of wood, tile, and vinyl flooring, so you can be confident your installation will be up to your measure of satisfaction. We have used Bella Casa for several jobs at our 100 year old home, from laying intricate oak and walnut floors, remodeling two bedrooms and bathrooms, creating a mud/laundry room out of existing useless space, and various odd jobs big and small. The team at Bella Casa has done it all beautifully. They work meticulously, paying attention to the most minute detail, and solving unexpected problems as they arise. We highly recommend them and will continue to use them in the future. Living in Westchester for almost 20 years, we have had numerous renovations in our “older” homes using more contractors than pages in our address books! Working with the people at Bella Casa has been a dream come true. Alex and his team have been a pleasure to work with and we will continue to do so for years to come. Their attention to detail and creative problem solving have made even our most difficult design challenges seem like a breeze. The work is expert and professional, quick and painless. I have used the services of Alex Generoso and Bella Casa Contracting since 1997. They have renovated and remodeled three homes for me. One of these was a whole house gut rehab which turned out beautifully. They have renovated bathrooms, kitchens, installed new roofs, done tile work, concrete work outside and installed new floors. Through the years I have been pleased with their work and find Alex easy to talk with and always eager to do a good job. I found him to be honest and a craftsman who demands the best of himself and those who work with him. Bella Casa is a locally owned and operated business established in 1990 with over 20 years of experience in the industry. We have built a very strong reputation for customer satisfaction by working with honesty, integrity and diligence. We take pride in providing exceptional work at a competitive price.